ISO 100. f/18, 1/6 second. 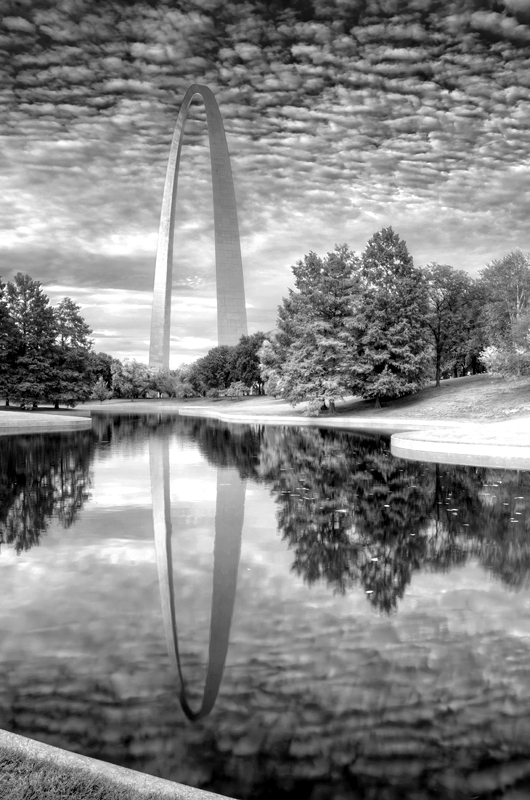 The reflection of the Gateway Arch and the broken clouds create a mesmerizing effect. The arch leads your eye into an infinite loop throughout the picture.